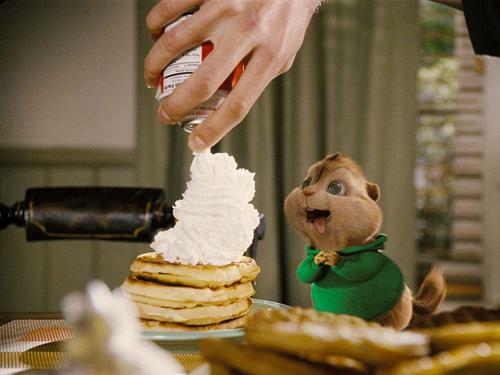 my preferito chipmunk. . HD Wallpaper and background images in the Alvin and the Chipmunks club tagged: theadore. This Alvin and the Chipmunks wallpaper might contain pancakes, pancake, torta a strati glassata, glassato la torta di strato, and cupcake.